Take the work out diving: get equipment that works for you. The Dive Bus is an authorised dealer for quality scuba dive brands including TUSA, SUUNTO, Innovative Scuba, ScubaPro, Princeton Tec, Bare and tons more. 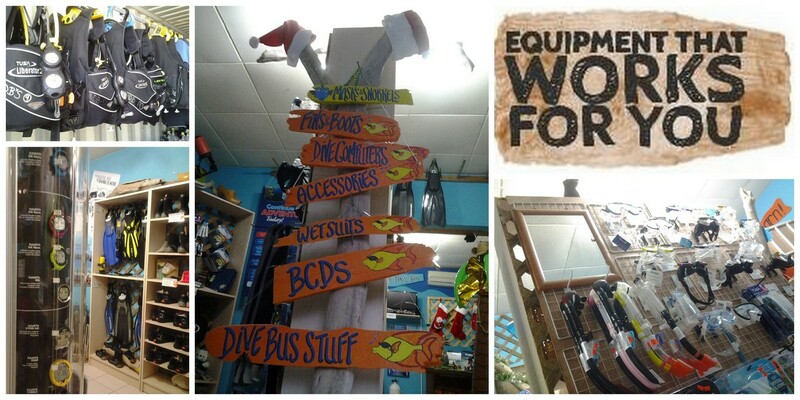 So there’s plenty of brand new, shiny dive and snorkeling stuff in the Dive Bus shop, and a bunch of cool, fun and useful stuff, on which to spend your hard-earned cash. All of us on the Dive Bus Crew have dived and taught a lot of folks struggling to deal with dive equipment that's simply not right for them. To help you get the most of your diving, and make it easy, comfortable and enjoyable, we'd love to help you find equipment that's right for you. And because we're not on sales commission, you can be sure you'll get professional advice on equipment that's right for you, not our pay cheques. Taking a PADI dive course with The Dive Bus? Diving with equipment you're familiar and comfortable with, makes a world of difference on your dives. To help you choose dive equipment that works for you, ask your Dive Bus Instructor about the latest PADI Dive Course Graduates special offers. Think of it as your reward for becoming a Dive Bus PADI Dive Course Graduate. 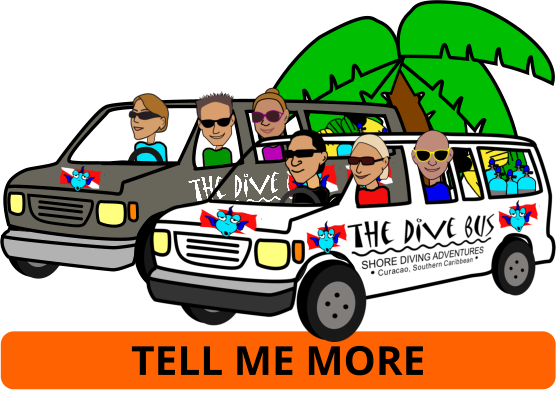 If you like your Dive Bus rental equipment and it fits you well? Buy it. The actual equipment you've been using - or the same but brand new. ...like your personal dive equipment not making it to Curacao in as good shape as you? No worries. The certified TUSA, Cressi, ScubaPro and SUUNTO technicians on the Dive Bus Crew can take care of it for you. And if you're diving with us too, you're welcome to use our excellent rental equipment free of charge in the meantime.